Arthur Guinness (24 September 1725 – 23 January 1803) was an Irish brewer and the founder of the Guinness brewery business and family. He was also an entrepreneur and philanthropist. Guinness leased a brewery in Leixlip in 1755, brewing ale. Five years later he left his younger brother Richard in charge of that enterprise and moved on to another in St. James' Gate, Dublin, at the end of 1759. The 9,000-year lease he signed for the brewery is presently displayed in the floor at St. James' Gate, effective from 31 December 1759. At 27, in 1752, Guinness's godfather Arthur Price, the Church of Ireland Archbishop of Cashel, bequeathed him £100 in his will. Guinness invested the money and in 1755 had a brewery at Leixlip, just 17 km from Dublin. In 1759, Guinness went to the city and set up his own business. He took a 9,000-year lease on the 4-acre (16,000 m2) brewery at St. James's Gate from the descendants of Sir Mark Rainsford for an annual rent of £45. 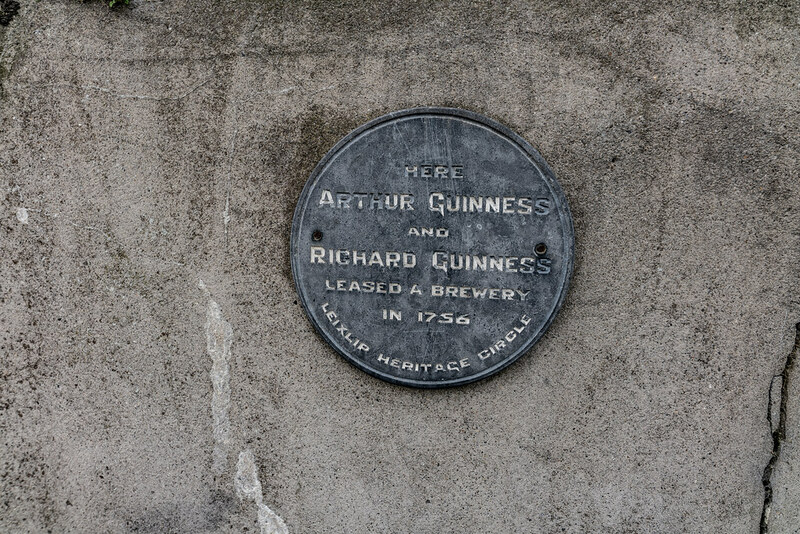 Arthur Guinness's parents Richard and Elizabeth were both the children of tenant farmers in Dublin and Kildare. Richard's family claimed a descent from the Gaelic Magennis clan of County Down. Recent DNA evidence however suggests descent from the McCartans, another County Down clan, whose spiritual home of Kinelarty included the townland of "Guiness" near Ballynahinch, County Down. Guinness's place and date of birth are the subject of speculation. His gravestone in Oughterard, County Kildare says he died on 23 January 1803, "in his 78th year", i.e. aged 77, indicating that he was born in 1725. There is no proof of the date of 28 September 1725 chosen by the Guinness company in 1991, apparently to end speculation about his birthdate. The place of birth was perhaps his mother's home at Read homestead at Ardclough County Kildare. In 2009 it was claimed he was born in nearby Celbridge where his parents lived in 1725 and where his father worked as an agent for the cleric Dr. Arthur Price, and may (or may not) have brewed beer for the household.